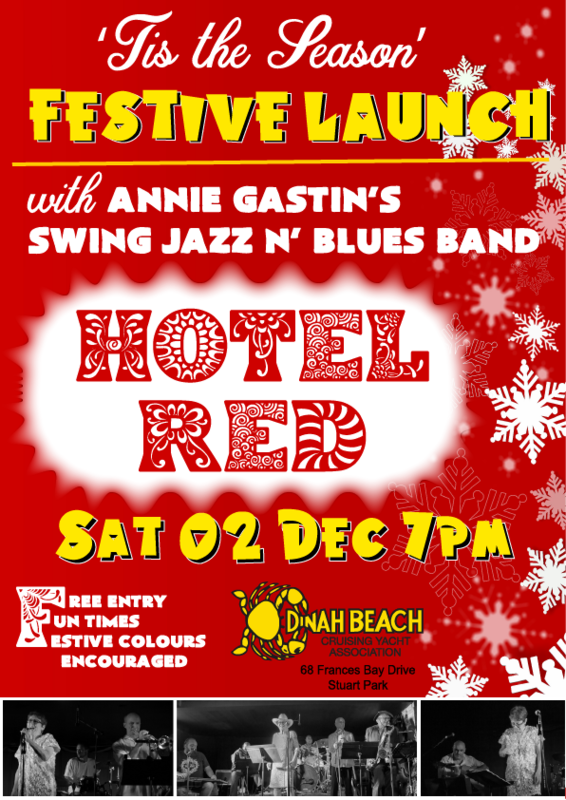 Kick off the festive Xmas month with an evening of first class swing jazz n’ blues with Annie Gastin’s band Hotel Red. They worked up a storm for our 35th anniversary, now they’re back with bells on! Bring your mates, bring your family, bring your festive attitude! Free entry, festive attire / colours encouraged.